The Wasteland is now On Demand! "Vault-Tec engineers have worked around the clock on an interactive reproduction of Wasteland life for you to enjoy from the comfort of your own vault. 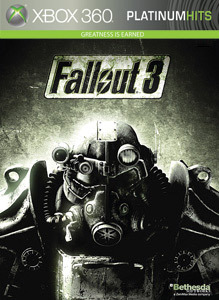 Fallout 3 includes an expansive world, unique combat, shockingly realistic visuals, tons of player choice, and an incredible cast of dynamic characters. Every minute is a fight for survival against the terrors of the outside world – radiation, Super Mutants, and hostile mutated creatures. From Vault-Tec®, America’s First Choice in Post-Nuclear Simulation™."